In accordance with example embodiments, a wearable marker may be used for passive interaction with a wearable computing device. A wearable marker may take the form of a ring, a bracelet, an artificial fingernail configured to be affixed to a fingernail, a decal configured to be affixed to a fingernail, or a glove, among other possible wearable items. A wearable marker may further include an infrared (IR) reflective surface in the form of a surface pattern that is substantially optically invisible. 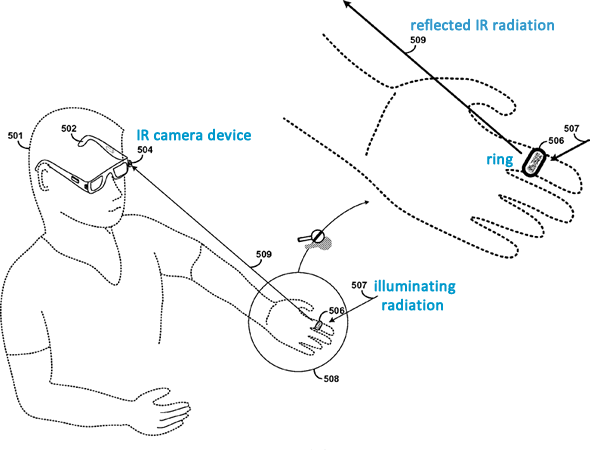 A wearable computing device may include a head-mounted display (HMD) equipped with an IR camera device capable of detecting IR radiation reflected from the surface pattern on a wearable marker. 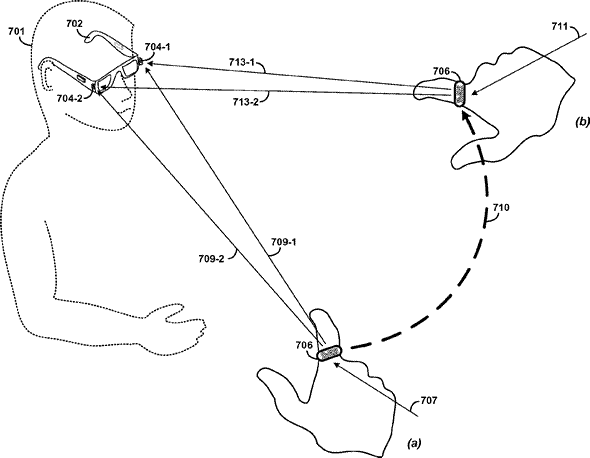 The HMD and the IR camera device can function together to track position and motion of the wearable marker via reflection, and by doing so can recognize known patterns of motion that correspond to known hand gestures. This isn’t the first time a wearable marker is used for computer interaction, after all that’s how the PlayStation Move works, but Google’s implementation is certainly creative. 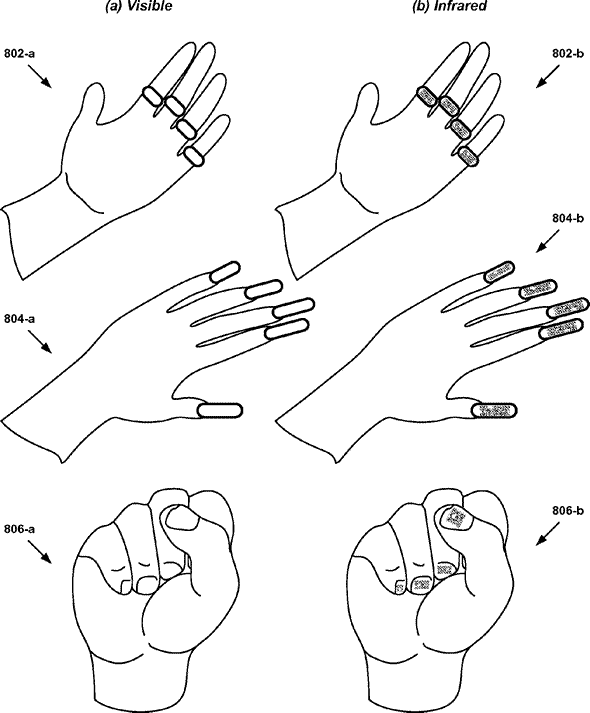 The patent also talks about adorning multiple markers, see above, which would work together for different gestures, i.e. wearing a different decal on each fingernail. The markers could be invisible to the human eye, only reflecting infrared light. Finally dual IR cameras on the glasses would allow for better 3D tracking of the markers.